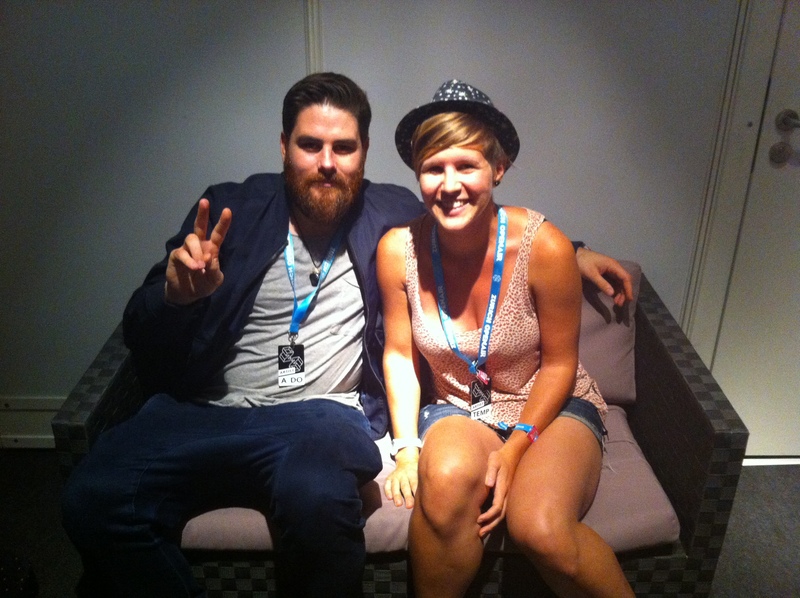 At Zürich Openair I interviewed in one day Mighty Oaks, Echosmith and last but not least Piers Agget of Rudimental. 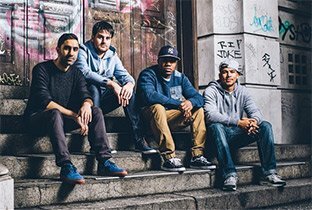 The latter was a different interview in the sense that since Rudimental music is electronic it also includes producers and DJs and they are not the one singing. The other band members Amir Amor, Kesy Dryden and “DJ Locksmith” (Leon Rolle) weren’t there because it was a DJ set. Piers Agget told me about the band, their collaborations, and unveiled a bit the new album We The Generation. Cheers to him and big thanks to Luana Calciano from Warner Music Switzerland for organizing this interview. The Liberation: Your first album Home came out in 2013. The Liberation: It had a lot of success. It was nominated for the Brit Awards. Piers Agget: Brit Awards yeah it was nominated for MOBO Awards and for Best British Single and we were nominated for Best Album as well. The Liberation: I wanted to know what do you think about the new album. Do you think it’ll have the same success as the first one? Piers Agget: Well, I hope so! I’m very proud of it, we are very proud of it, you know, the four members of Rudimental who write the music. We have a big, massive extended family. We made it on the road a lot, you know. We were touring because of the success of the first album we toured so much and we made sessions in South Africa, we did sessions in New York, L.A.. We met amazing legends we met you know Jess Jackson, Max Romeo. The collaborations have been amazing. And it’s a real testimony to our sound it’s a lot more soulful. I’m just excited to share it with the world, it’s a deep album you know, yeah it’s a lot more soulful. The Liberation: OK. In which way? Piers Agget: So, I mean we worked with Bobby Womack who passed away and it was one of the last vocals he sent us before he died. I just think in general I mean like, the new artists singing on there so like Will Heard and Anne-Marie, they’re our new I like to call them “class of 2015” like Germany MNLR. They’re the new young talents of 2015 that we believed in and pioneered, that we championed. I feel like cuz we’ve done touring and live music. We’ve played as a band for four years, three years now and our musicians have come out more in this album, so yeah that’s why I think. The Liberation: And was there any pressure in writing the second album since the first was so successful? Piers Agget: I think not really writing. There’s always pressure especially finishing, finishing any album. But I think we didn’t stop, we didn’t ever stop touring and sit back and go “Ok, now we have to go and write album 2”. We kept writing and the minute the first album finished and got released we were writing the new album. And some of the tracks on the new album I think might have started before the first album was finished. There’s like a constant thing. And we’re all really good friends and I think there’s an amazing team of people that we’ve worked with to make this new album. So it was easy not to feel pressure and stress because I’m with people I care about and we support each other if that makes sense. The Liberation: Yeah, ok. As you said before you and your band collaborate with many stars like John Newman, Emeli Sandé and so on. What does it represent for you? Piers Agget: I think we’re four songwriters and producers, so my voice is not that great. So I think collaborations is something that we’ve always done, we’ve always wanted to be songwriter and producers. We managed to create a band and create a culture, a brand out of it and that is called “Rudimental”. And Rudimental is about collaborating with people, working with different people, it’s not about one artist, it’s not about one producer shining. It’s more of a family and everyone that we work with, you know in the new record there’s like Ed Sheeran, Bobby Womack, and there’s Dizzee Rascal, but there’s also Will Heard, Anne-Marie, Nick Gale, artists you might have not heard of. For us is about a family of music, it’s more about musical emotions into your soul and mixing that with electronic. The Liberation: How do you choose the people you collaborate with? Piers Agget: We’ve always been good at networking. With Ed Sheeran we actually knew him years before he made it and we used to bump into him a lot in shows, we were in the same level and so you make friends with people. We always actively go out and find people like we find talent in buzz like “Open mic nights” and now we’ve got a big team around us to help us find them. The Liberation: Ok! Every song you make seems to become a hit. What’s the secret? Piers Agget: (laughs) The secret? Ehm I don’t think there’s any method to do this. We’re all about being organic and having a vibe in the studio. When we sit down in the studio we’re not drum & bass, I know people call us drum & bass, read our bio on Wikipedia it always says drum & bass. Ok it did a bit cuz our biggest single is a bit drum & bass but..
Piers Agget: Oh Gosh! We’re much more of an eclectic band. In the studio it’s always about crack and groove and having fun. There’s never any kind of organization it’s always very like you know chaotic and we turn up when we turn up and then we have fun in the studio. That’s all I can say, definitely not a secret. If I ever found it I’ll let you know. The Liberation: Yeah thanks! (laughs) How do you produce your music in general? Piers Agget: You know, we’re all musicians as well as producers and DJs. The musicians we jam in the studio, I’d get my keyboard out Kesi would get his keyboard or percussions out, Amir would get his guitar and Leon would get keyboards and percussions out and we just jam in the studio. Sometimes we jam with the singer then we’d get Lianne La Havas or Ed Sheeran in the studio and write with them. Then once we get the kind of music down we put it on our laptops and then produce it in a kind of electronic style. I’d be working in my hotel room or on a plane and then I’ll pass it to Kesi, Amir or in a Rudimental show itself sometimes. The Liberation: Cool! Can you unveil something about the new album? Piers Agget: Yeah, the new album! Something exciting: there might be another Ed Sheeran song that no one has heard, there might just be. That’s all I’m saying. The Liberation: (laughs) Did you have the chance to see any of the Swiss artists? Piers Agget: I haven’t cuz I was really busy in my hotel room (laughs) working on a song so I haven’t but I’ll definitely check out some in the future. The Liberation: Would you like to collaborate with any artist in particular? The Liberation: OK cool! I’m done thank you very much! Piers Agget: Cool! Thank you.